This book gives a step-by-step teaching to have a home that allows success and mistakes, encourages strong character and give good gifts without creating an attitude of entitlement. Even though I have just started this book, I have already learned so much about myself and my tendency to overprotect and to overcontrol. Not every parent will have the same tendencies, but this book will allow you to identify yours and learn how those attitudes and interactions can negatively impact your child AND how to move away from those things to build an even closer relationship with your child. 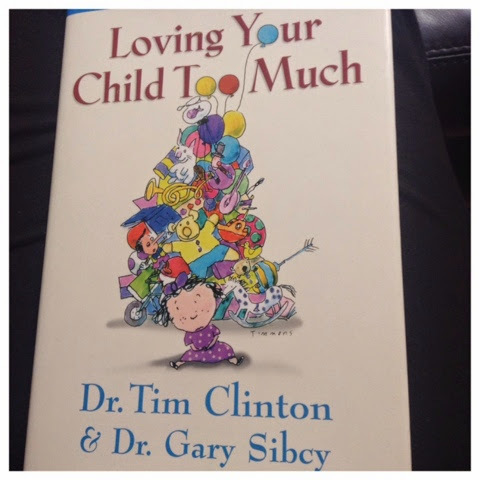 What I most appreciate about this book is the way Dr. Clinton and Dr. Sibcy explain each area and then give practical ideas of moving away from those bad habits. Their methods can be used with children of any age and they use biblical principles and verses to back up their work.